A sophomore carries his lunch tray, with a baked potato and toppings he layered on it in Wisconsin, Sept. 17, 2012. 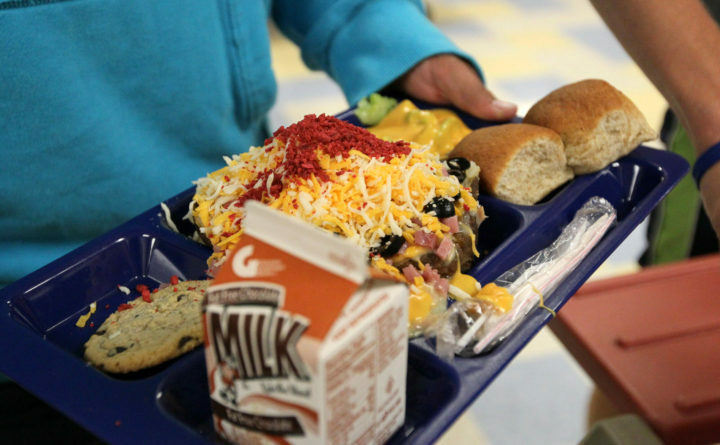 An anonymous donor has paid off more than half of a Maine school district’s student lunch debts. Westbrook Superintendent Peter Lancia said he received a check from the anonymous donor Monday for $10,000, which would erase more than half of the $17,000 owed by families in the district for student lunches. Lancia tells the Portland Press Herald that the donor does not want to be identified and wanted to help families with unpaid accounts.